Hateful words were no match for crowds of people preaching love and their guardian angels. 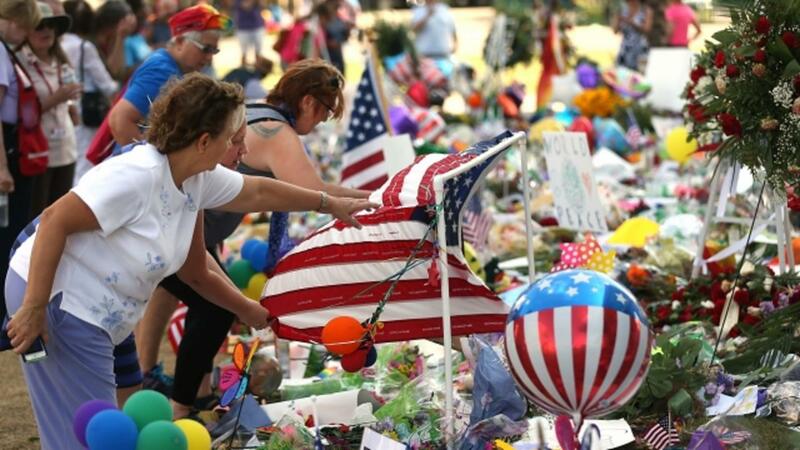 The Westboro Baptist Church promised to protest the funeral of an Orlando shooting victim Saturday, but the tiny contingent of four from the homophobic Kansas-based church were drowned out by hundreds of people chanting "We love you!" and "Orlando Strong!" Among the counter-demonstrators outside 32-year-old Christopher Andrew Leinonen's funeral at the Cathedral Church of St. Luke, were several people dressed as angels. 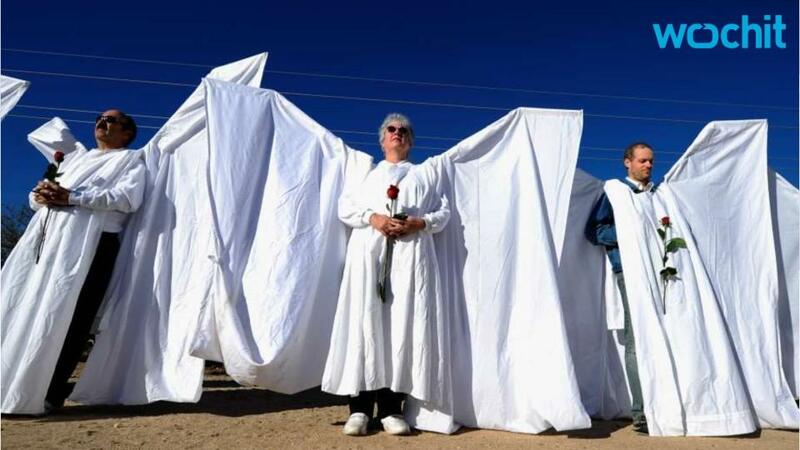 The costumes were a project of the Orlando Shakespeare Company and Angel Action Network, which outfitted volunteers with angel outfits made from white linen. A line of angels Saturday worked to block the handful of Westboro protesters who shouted phrases like "Why did God destroy Sodom?" Angel Action Network was founded nearly two decades ago after Westboro church members protested the funeral of Matthew Shepard, a gay man who was brutally beaten, tied to a fence in Wyoming and left to die. He succumbed to his injuries in a hospital days after the attack. The Westboro Baptist Church, considered an extremist group by the Southern Poverty Law Center, often protests at funerals, and this isn't the first time they were met by people pledging to protect mourners. Earlier in the week, a "human chain" made by LGBT community members, bikers and other allies was formed at 40-year-old Javier Jorge-Reyes' funeral. It was the first public memorial for one of the 49 victims killed by a terrorist last Saturday night at Pulse, an Orlando gay nightclub, during the deadliest mass shooting in U.S. history.